i posted this to a few boards and instead of getting all personal for my LJ i decided to just copy and paste it here because i'm tired and a lot lazy. It's been an interesting night. First Jonathan Woodward showed up and everyone got excited. 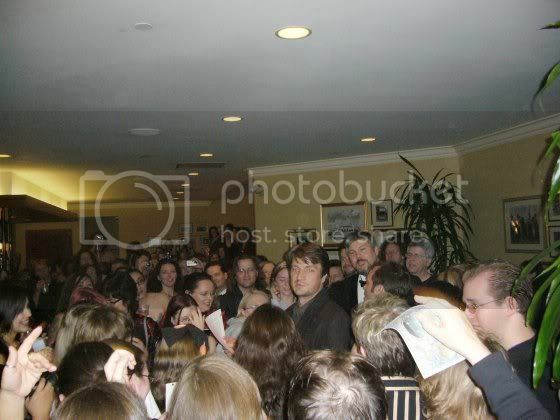 But when Nathan showed up ALL hell broke loose. As if that wasn't enough Alan Tudyk (who had canceled due to filming '3:10 to Yuma') and Christina Hendricks arrived. at first it was chaos but leave it to Adam of the Cali Browncoats to organize everyone into lines. Unfortunately the lines for Alan and Nathan were forced to move outside where it had started to drizzle. Nathan and Alan started to take "group" photos with people at random. 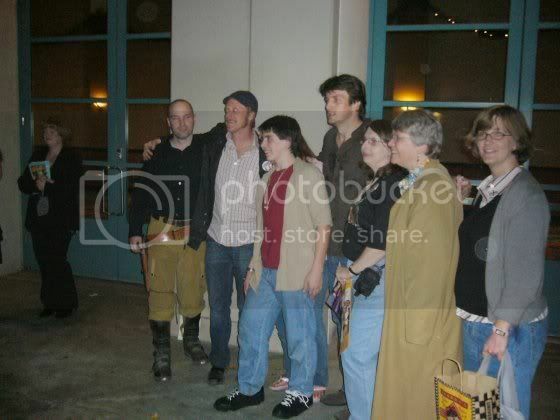 Just a bunch of Browncoats in a shot with the two guys. I was in one of the group shots but didn't act fast enough to get someone to take a pic with my camera. Which is ok because I saw a lot of flashes and I'm sure it'll turn up somewhere. 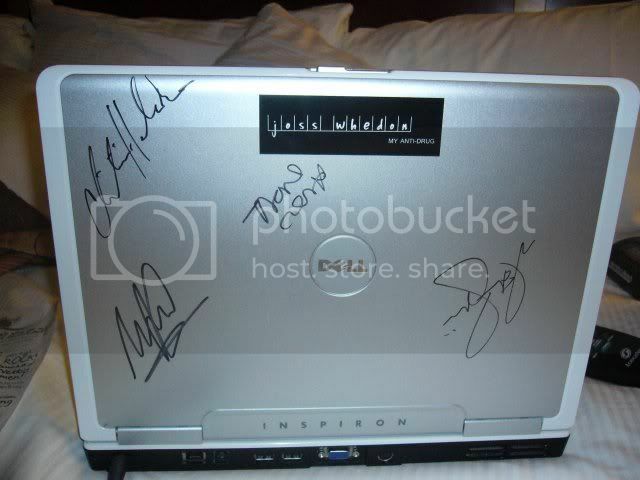 I did however get them BOTH to sign......my laptop who I have appropriately named, Albatross. Mark Sheppard had signed it earlier in the day so when Nathan and Alan saw his autograph on it they both signed as well. 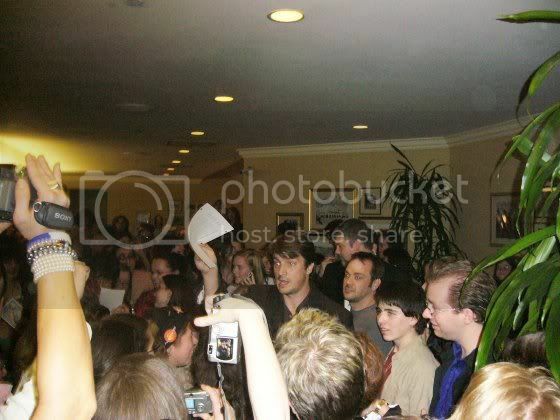 Which is lucky for me because by this time they weren't doing autographs anymore. Once I got away from that crowd of very excited Browncoats I headed to the bar where it was rumored that Christina was hanging out. She was and I got her to sign Albatross as well. Overall it has been a wild night and it's not even over. I came up to my room to post this. I'm headed back down there in a bit. Anyway, I wouldn't expect anyone to read all of this if I didn't come baring gifts. Well, not so much gifts as pictures. 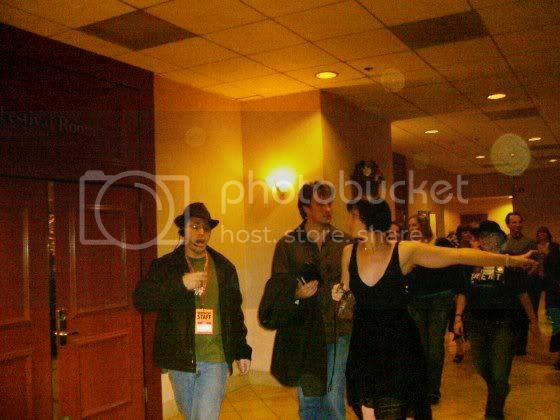 here we have Adam from the Cali Browncoats ushering Nathan outside. notice the mob behind him? oh, and nice pic of Adam huh? and last but not least here is a shot of Albatross, my laptop. I was banking on buying 8x10's for autographs so I brought nothing. From left to right we have Christina, Mark, Alan, and Nathan. Now all I have to do is get Jonathan to sign. I'm hoping Adam Baldwin shows up again before the end of the weekend because I would love his autograph as well.